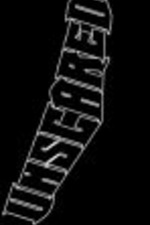 Unscared is a german Thrash Metal band, founded in 2000. 2003, followed by the first self produced full length "Mosh Attack"
The ultimate live highlights were gigs with Nuclear Assault (USA) and Heathen (USA)! and was replaced with the new shouter Pino. metaltabs.com has a bass-tab at least. Live version of our Thrash Metal tune Endless Times. Recorded at the Oase Heppenheim (Germany) on Dec 16th 2006.